Here you get a overview of wonderful holiday homes. If you have any special requests you can quickly make an advanced search and get a list of all matches. This helps you to make the perfect choice. Please take note that many of our holiday homes have a fixed shift day on Saturdays. The list is updated as often as possible, but it should be taken for guidance only. PS – if you need personal assistance please mail us at info@localliving.dk or call +45 60218795. A little piece of paradise in Tuscany. 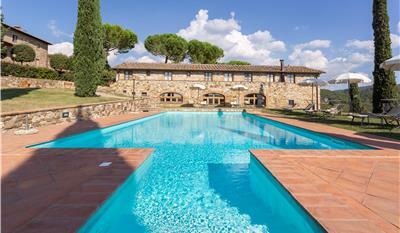 Here are seven beautiful apartments and an independent villa decorated in typical Tuscan style with good comfort. There is a large swimming pool and a tennis court. 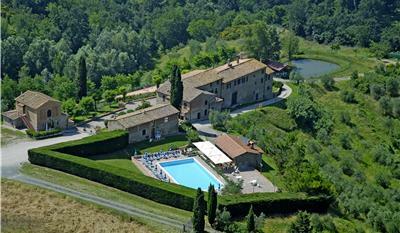 Agriturismo with panoramic views of Pisa's green hills. Beautiful apartments and rooms, and there is the opportunity to participate in a host of activities either on site or nearby. Podere Torricella is a small farm house with four apartments in the Siena area. The apartments are comfortably furnished and there is air conditioning. Good starting point for sightseeing and visits to wineries. Relaxing atmosphere and rural setting; Podere Cerreto is a lovely renovated farmhouse that seats 10-11 people. Restored country house with own oil, grappa, dessert wine and wine production, cooking school and own restaurant located in the middle of beautiful Tuscan countryside. Charming holiday apartments in an organic country house with cooking school and half board option.